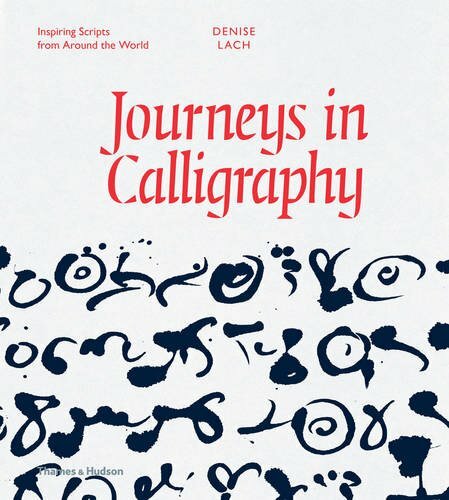 This book reminded me of an earlier book that I have, Calligraphy: A Book of Contemporary Inspiration. Both are books with beautiful artworks created and inspired by calligraphy. The author Denise Lach uses scripts from around the world to create many wonderful textural pieces of art. The book explores Ethopian script, Devanagari, Kannada, Tibetan script, Burmese script, Runes, Sorabe script and a few other non-Latin scripts. There's a certain rhythm, design or pattern to the calligraphy art that makes them look mesmerising. Some examples involves the use of repeated patterns, others are drawn with different medium, such as using paper cutout, craved into rocks, etc. Ultimately, it's about the creative play of shapes and textures. I highly recommend this book and the earlier book to anyone who loves calligraphy or just beautiful art.